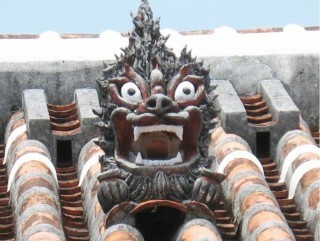 Almost every rooftop in Okinawa is adorned by a shisa often made by the craftsman who built the roof. The shisa is an Okinawa icon, seen everywhere watching gates and on top of buildings, to by-the-thousands in souvenir stores. The roofing tile craftsmen who create plaster shisa in Okinawan tradition are hosting a free Plaster Shisa Exhibition May 3rd and 4th at the Oshiro Public Hall in Kitanakagusuku’s Oshiro district. The exhibition runs 9 a.m. ~ 5 p.m. both days. In Okinawan tradition, a tile craftsman makes shisa using the surplus tile and mortar after finishing a roof. 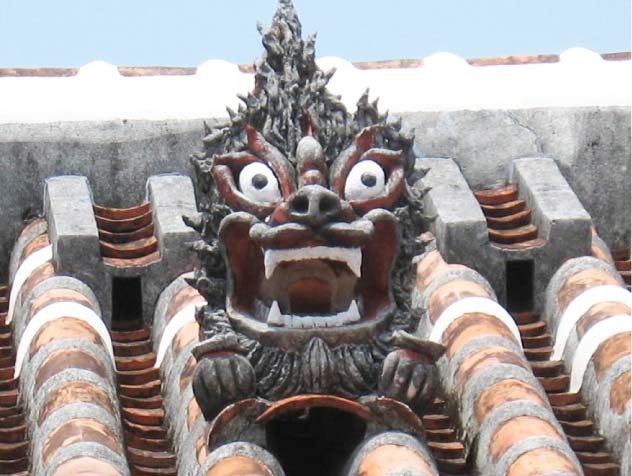 He then places the shisa on the completed roof in order to express his feeling of gratitude having fulfilled this work. The plaster shisa sale will be held in this exhibition. Visitors can look around these shisas, which are little different from ordinary, and when finding something good they like, they can purchase it. The experience classroom where the pvisitors themselves can make plaster shisa similar to those a craftsman makes will be also conducted. The cost for the Shisa experience class is ¥3,000 for a large shisa, and ¥2,000 for a small one. There’s a ¥1,000 fee for coloring the created Shisa. Applications are being accepted at the hall the day of the event. Participation is on a first-come, first-served basis.